I’m spending a fair bit of time converting the first section of ‘The Last Alive’ into my new scriptwriting software (a thing which I’m beginning to wonder why I didn’t start to use before). I’ve just about reached the part where I was the last time therefore finally catching up. I have had a small spot of rewriting on the way though as this was a chance to second draft the first twenty pages or so. Maybe it was the fact I was watching a programme on BBC4 about European horror movies presented by Mark Gattis but I found myself trying to write the scene in which Morag, the young girl who went missing ten years before, is revealed as alive and well. When I originally wrote it she just appeared in the room, having originally been in the centre of the large rock that has shot down from space. Darren, my police officer character, opened the door and was confronted with the sight of the girl who he couldn’t find a decade earlier. They then proceeded to have a conversation about where she’s come from and if she is indeed the same girl. In the new version she starts out as a corpse. Darren returns to a now flooded room (the rock has pretty much melted like an ice cube) and finds the body of the girl he couldn’t find a decade beforehand. As a scene I found it far more effective. Whilst Morag went missing they never found the body but here it is, in the place Darren though safest of all, his own office. I seem to have accidentally ended up writing horror. The question is, when do we wake her up? ‘Send Us Food Not Bullets’ are the words scrawled along the brick walls in Dunwall, the city which hosts the story of Dishonored. The fact it’s written on the streets next to elaborate whorehouses and palaces gives a wonderful indication of the class system operating within the game’s story. There are many sides at play in the city of Dunwall, some dark and some light, but the the thing the game manages to do so well is make every element seem like they belong in the world. This blend of Steampunk and Victorian Britain would seem at odds but certain things are explained to make it more cohesive. For example the original question of where they would get all this electricity gives rise to the idea of a whale oil industry in the city. This isn’t just a side line either, the entire city seems build on the practice of hauling in these massive creatures from the sea. The biggest advantage video games have over books and movies is a sense of immersion in the surroundings and in order to achieve this game worlds must feel rounded and solid, not just a collection of scenes put together. Dishonored has everything in place and a reason for it being there. You are Corvo Attano and, up until you were framed for her brutal murder, you were the bodyguard of the Empress Jessamine Kaldwin. Corvo is given the means to escape prison by a loyalist group who hire him to eliminate the members of the new regime one by one, thus putting Jessamine’s daughter Emily on the throne instead. It’s a dark tale of revenge not only for Corvo himself but for those who wish him to act out their own. Along the way Corvo is visited by The Outsider, a man who somehow feels like God and Satan mixed into one. Through this meeting Corvo is given supernatural powers to back up his combat training. He becomes a hybrid of technology and apparition, almost like a robotic poltergeist. 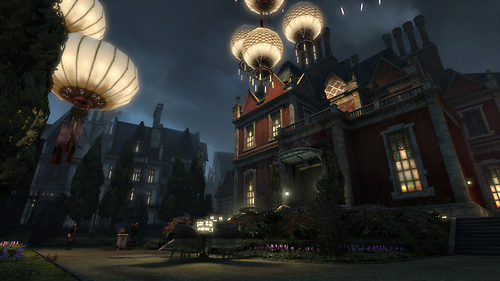 The story of Dishonored is a citywide battle for power and one man’s place in it. Just a small, humble abode. The games industry as a whole seems to be stuck with the idea that such stories can only be told with space marines or current day military soldiers. Whilst Dishonored does share the same first person perspective as games like Modern Warfare or Halo it has a certain style and surroundings that makes it feel unique. With references to pubs and parts of some levels filled with whisky distilleries the game also feels strangely British, like an old BBC TV sci fi show from the 80’s (which I mean in the most complimentary fashion possible). I could write endlessly on how much I enjoyed Dishonored, how the combat and the stealth elements are linked so well together (both options are fun, neither is the ‘wrong’ way of playing), how there’s contrasts between rich and poor going on, how religion features highly in the symbolism and how gaining power reacts with different members of the cast but instead I’ll talk about my favourite level in the game and my first choice to replay when I load the disc. It’s ‘Lady Boyle’s Last Party’. SPOILER ALERT BEYOND THIS POINT! Up until this point in the game you’ve been keeping a low profile. 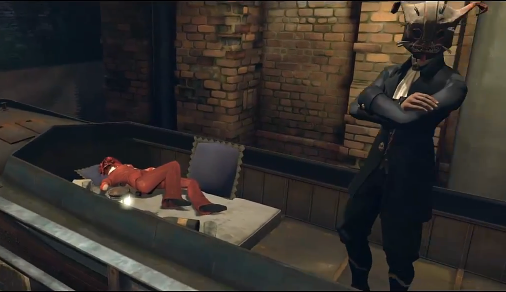 Corvo’s mechanical mask covering his face has given him a second identity, Dunwall’s residents have heard talk of the masked man but have not connected it with the escapee from prison. For the first few missions I played via stealth as much as possible, sticking to the shadows and not letting anybody know of my presence. It’s a turn for the books when Corvo must infiltrate Lady Boyle’s mansion during a costume party. Rather than hide away, this mission encourages you to mingle with Dunwall’s rich and famous. The problem is that whilst the loyalist movement have identified that Lady Boyle is a supporter (and lover) of the current Lord Regent there are actually three Lady Boyles attending the party as her two sisters shall also be there on the evening in question. All three will wear the same costume in a different colour, killing either of the two innocent Boyle sisters will be very bad practice. The first thing to get past are the guards outside. Those standing sentry alone are nothing much to worry about, it’s the Tall Boys you should be concerned with. Tall Boys are guards who stride with huge, elongated metallic legs. They are armed with and bow and arrow combination and use explosive warheads. Basically, they can see you from fairly far away due to their vantage point and can also detonate your immediate surroundings. The only weakness of a Tall Boy is the sizable canister of whale oil fuel strapped to their back. If you can maneuver around them enough then you can aim for this and watch the pilot burn as the legs tumble. In my playthrough I managed to make my way over the wall with only a couple of stranglings and thankfully no whale oil explosions that would have raised the alarm. As I enter the side door a couple of partygoers stop me to comment on my costume saying that it’s very ‘current and now’ of me to dress like a known killer. Bless them, the little they know. Entering the main hall reveals a table filled with vast amounts of food which the guests pick at. 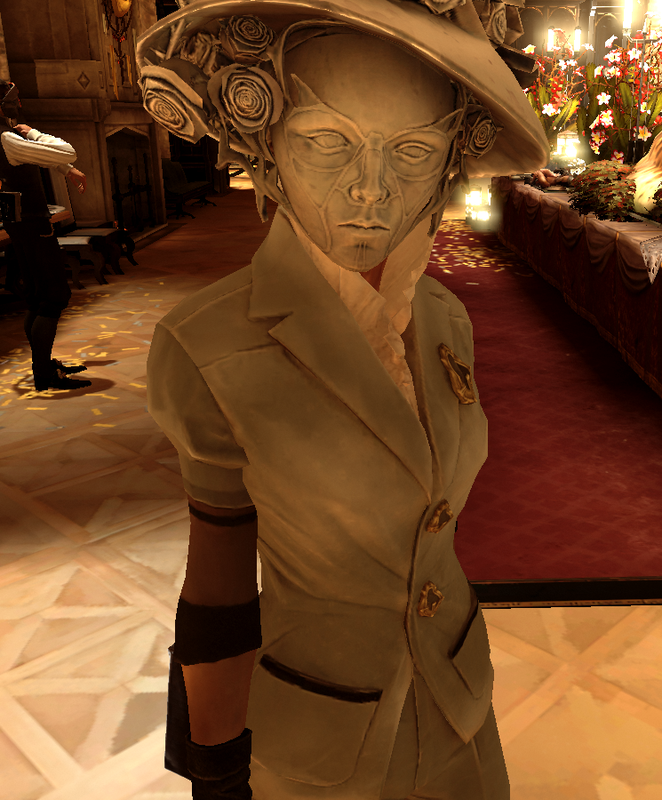 Dunwall is currently enduring a plague, people are dead on the streets but the upper class still party. Conversations with those masked revellers gathered around reveals both the general ignorance of the elite and the all round backstabbing as some secretly proclaim it to be a terrible party. The upper levels of the house are still off limits and are being patrolled but I needed to get up there in order to find any evidence as to the full identity of the target. I crept upstairs past the guards and into the room of Esma Boyle and discovered her diary open on the table. Far be it from me to usually pry into the private life of a lady but needs must in this case. According to her latest journal entry she plans to use the party to find a man and any man will fit the bill. At this moment I think I discovered Corvo’s inner James Bond. A small matter of finding Esme and then luring her upstairs to her chamber would surely make the act of eliminating her easy. It’s important to note at this stage that Dishonored doesn’t insist that you off your targets in a shower of blood and guts. Your employers simply want you to ‘remove’ them from play. This flexibility is a key aspect of the gameplay. As I went back down the stairs I found myself face to face with Lord Brisby, a man who has long desired a life with Esme and wished for my help to bring her to him. If I did this he would be sure to whisk her away to some far flung country. It would seem there would be no blood spilt tonight and Corvo wouldn’t be getting his end away into the bargain. Esme was wearing the red costume so a few drinks brought over to her soon meant she was giddy with excitement. A quick whisper in her ear meant she was also soon following me to the cellar, thinking games were afoot. Sadly for her the games involved a quick dose of sleep dart and being bundled onto a waiting gondola accompanied by Lord Brisby. as they rowed off into the night I thought about the morals of sending a woman off in the company of a man against her will but weighed this up with the fact she still had a heartbeat and a head on her shoulders. I made a quick exit back out to the street, avoiding the Tall Boys and waiting guards, finding my own boat ride out of there. But the fact of the matter is I could have gone with my original plan and had Esme slain in her bed chamber. I could have not bothered finding out any information beforehand and just killed all three. Or I could have kicked the door in with all guns blazing leaving a trail of dead bodies before slugging a shot of finest wine upon my exit. Dishonored is one of those games which allows you gain your own experiences and find your own stories within its framework. Some games force you into a linear experience which is fine if done well but others let you off that path every once in a while to find your own way. In these situations one of the greatest parts of gaming is comparing notes with fellow players. For all the recommendations listed above I’d recommend a playthrough (or many) of Dishonored. I’m not on here to really go on about using this type of software for screenwriting or this type of thing for notetaking. To be honest, all the scripts I’ve written so far have been on Microsoft Word or Open Office which did involve a fair bit of formatting. The usual industry standard would be Final Draft but it’s hideously expensive at the best of times. Thank the lucky stars then that my wife started to write her script she began using Celtx Screenwriting software. It certainly looks the part and I’ve spent the afternoon loading it up on my laptop and trying to tie it in with the app on my tablet. The idea behind this is that the bulk of the writing can be done on the laptop but I can synch the scripts up in cloud storage to continue them on my tablet when I’m on a break at work. I probably won’t be getting a major amount done on the tablet app but even if I do three lines in ten minutes then it’s still a small chunk of the script gone by when I get home. Hell I’d stick it on my phone too but tiny keyboards would not agree. I’ve tried to import what I’ve got of ‘The Last Alive’ so far but it seems to have compressed it into one scene and can’t break it down into individual scenes. This may be a gradual cut and paste job. Today saw a trip through to Carlisle with my Dad to the cinema to see The Railway Man. It’s a film my Dad has wanted to see for a while and it’s good to spend time with him since he retired, mainly because he didn’t get time when he was working. Considering the subject matter of the film (a prisoner of war attempts to come to terms with his experiences when he meets his Japanese captor years later) it wasn’t ever going to attract a young and hip audience and most of the twenty of so people would have been over 50 years of age. The film builds nicely to this climax of Colin Firth’s character going back over to the scene of his torture which is now a museum before finding that the member of the secret police who interrogated him now works as a guide there. A tense scene follows as the two of them talk in the exact same interrogation room they met in during the war. The two look at each other across the table, the Englishman draws a knife and points it towards his foe. The cinema is then filled with a noise, kind of like a drilling. The Englishman leaps across the table and holds the knife to the Japanese man’s throat. More drilling, although Colin Firth does not have a drill. It’s coming from the front of the cinema. In the darkness I see a woman elbowing her husband in the ribs. The snoring continues though, even after she’s hissed “Jeremy, wake up!” towards him. Jeremy does not awake, his immense industrial slumber continues throughout a flashback sequence of the type of waterboarding they don’t give you trunks for. An old couple behind me pipe up with “I think it’s snoring John, it’s certainly not in the film”. It takes one more almighty inhale for Jeremy’s wife to hit her limit. She gives him one huge dig in the ribs and Jeremy is hauled by his shirt collar out of the room. The rest of us breath easily, having been slightly more engrossed in the story than poor Jeremy was. I actually posted my write up of the Christmas episode of Doctor Who around midnight last night not the 27th as WordPress seems to have stamped it as (I started writing it on my tablet using the app on that day, finishing it on my computer as it’s easier to put the pictures in that way). My wife, a nurse, had a shift starting at 8am this morning and my son was fast asleep in bed by the time midnight struck. I welcomed in the New Year with my cat who had beat a retreat from outside when somebody nearby decided to set of fireworks at 11:45pm. I was also listening to BBC Scotland’s coverage of Hogmanay in the background which seemed to involve a folk band covering Daft Punk’s ‘Get Lucky’ because obviously you’ve hardly heard that little ditty all year and it needed more accordion. The results were truly horrible. I suppose tradition would say I should have been writing about my plans for 2014 and reflecting on 2013 as far as my screenwriting ambitions go. To be honest though, there’s not a lot to it. If 2012’s biggest achievement was getting Henry Barstow on stage then 2013’s was certainly seeing ‘Robotics’ up on screen. It was, to use the writer’s vapid response, just as I had imagined it and I was happy with my first experience of handing a script over for production. I’m still waiting for it to be put online so I can get a link here. In March/April time we should be good to go as it’ll have been a year since it was finished. I spent the rest of the year wondering what to do next, either more short films or a feature. Going down the feature route I started ‘The Last Alive’ which was troubled to begin with but now seems much clearer. I also want to expand writing horizons a little more in 2014. I’ve always thought about doing comics but I lack any artistic ability (or at least presentable artistic ability).British comic book powerhouse 2000AD have a policy of new writers having one off stories with each issue. 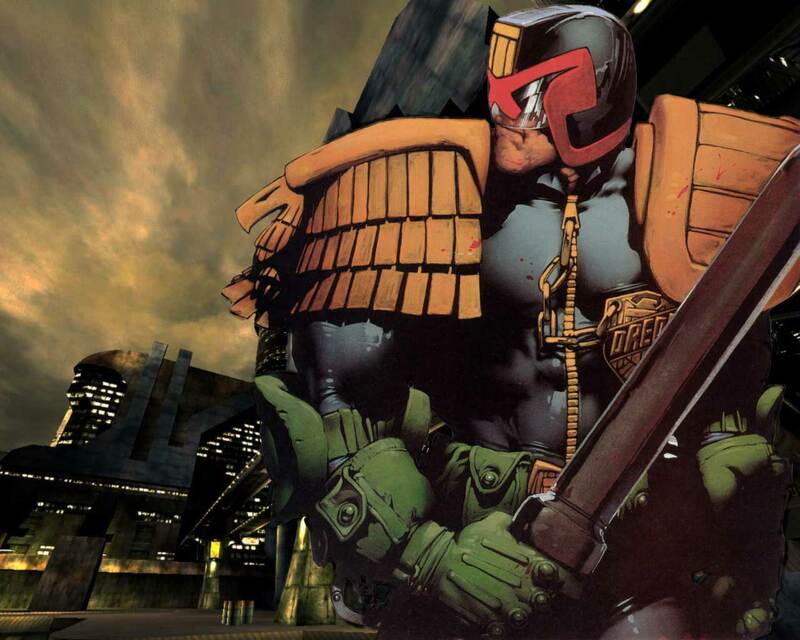 It’s not like they’ll hand you the keys to Judge Dredd straight away but it’ll be a start. I’m aiming to be published in the comic at some point in 2014. Also I think I need to start writing fiction more. I’ve mentioned before that I used to write a lot of fiction years ago but it lapsed. I’d have to get my head around it again and feel the beat of it as I used to. If you’ve been reading Howling In The Dark during 2013 then I thank you, I hope I’m able to report on these things and more over the coming months.